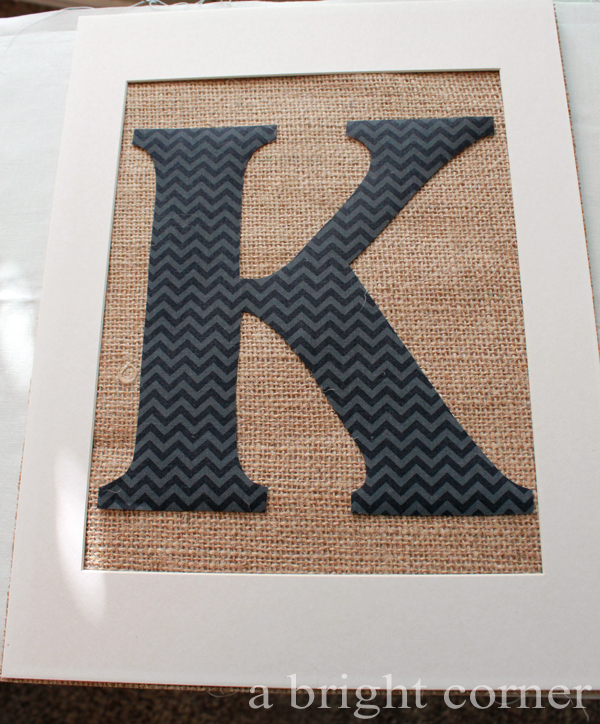 My handmade gift idea is a framed burlap monogram. 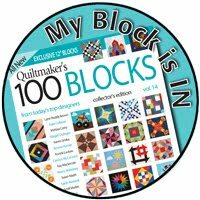 This is quick to make, is a no-sew project and makes a great personalized, handmade gift! a piece of fabric, also about the size of the opening. 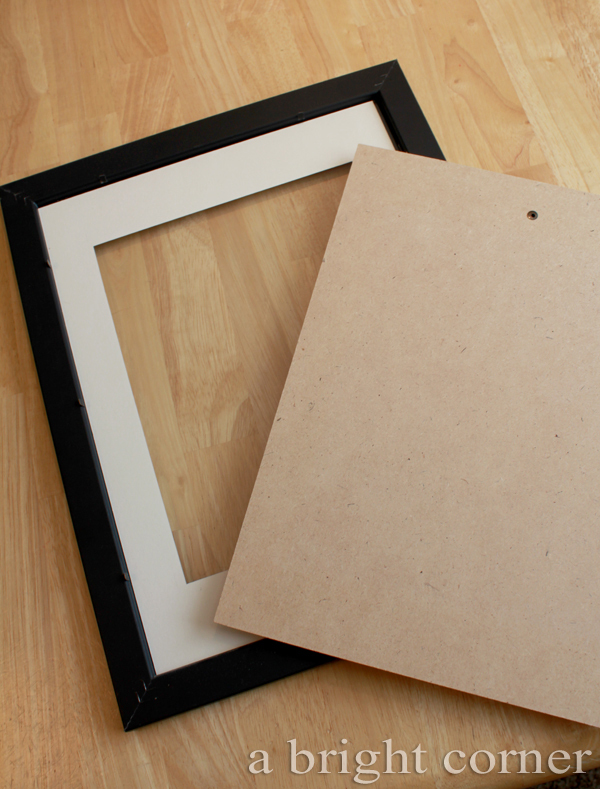 First, find a frame you'd like to use and remove the board that's used as the frame backing. 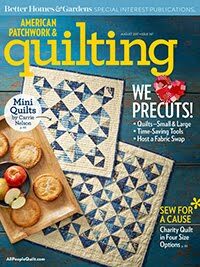 Place the board over the burlap and either trace around the board and cut the burlap to size with scissors, or just cut around it with your rotary cutter. Great! 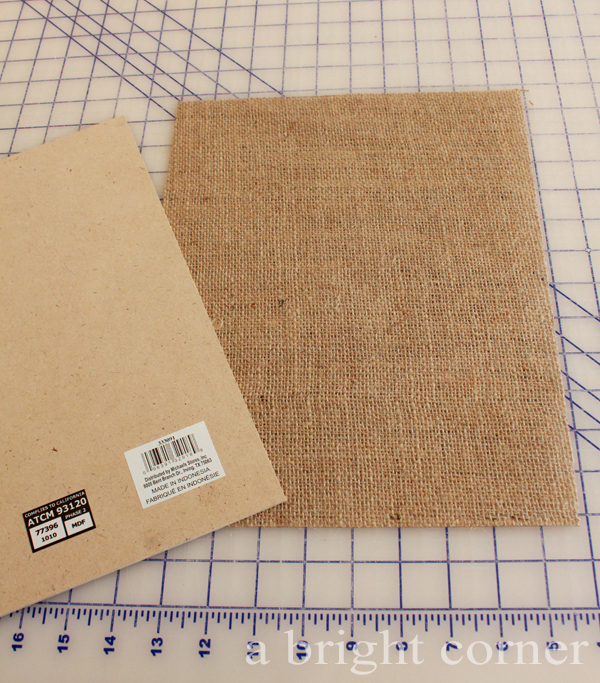 Your burlap background is ready to go. Next, print out the letter you would like to use. Be sure to print the mirror image of the letter! 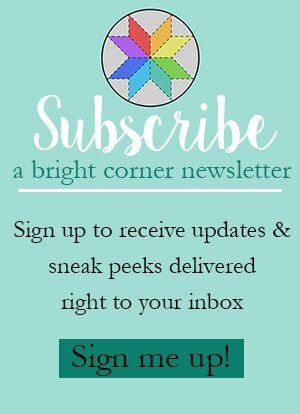 I created a PDF of some of the most common first letters of last names. You can download and print it here. The letters included are K, W, M, S, R, C, P, and A. 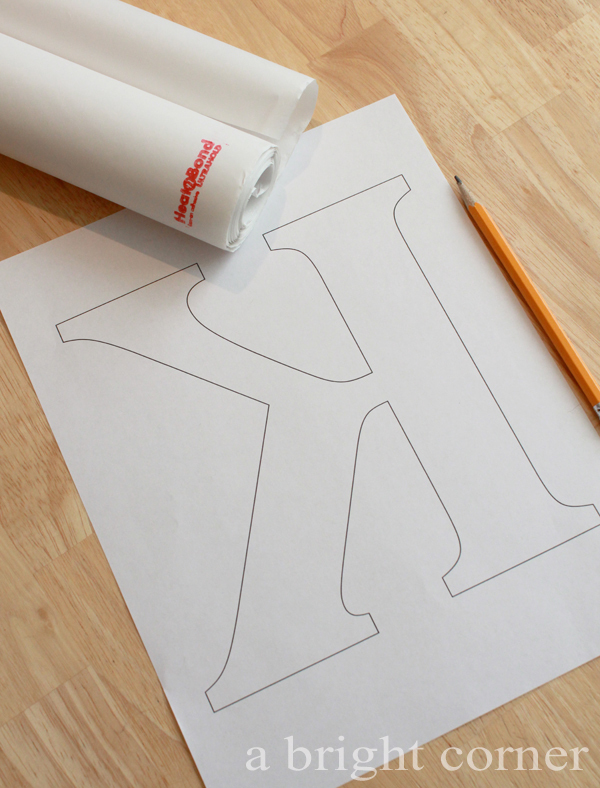 The letters are already mirror image and ready to print and use. Using a pencil, trace the letter onto a piece of Heat n Bond Ultra. 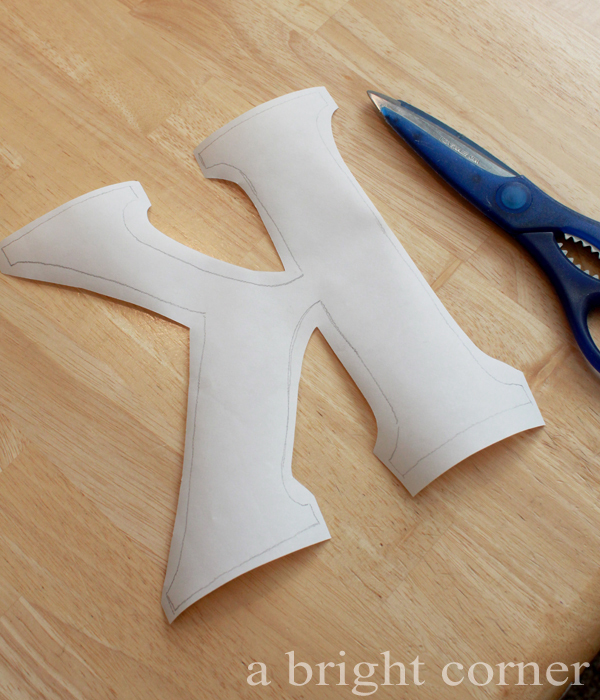 Heat n Bond Ultra is great for no-sew projects like this. I love this stuff! Cut out around the lines, but not directly on the lines. 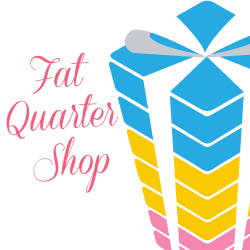 Leave about 1/4" space around the letter. 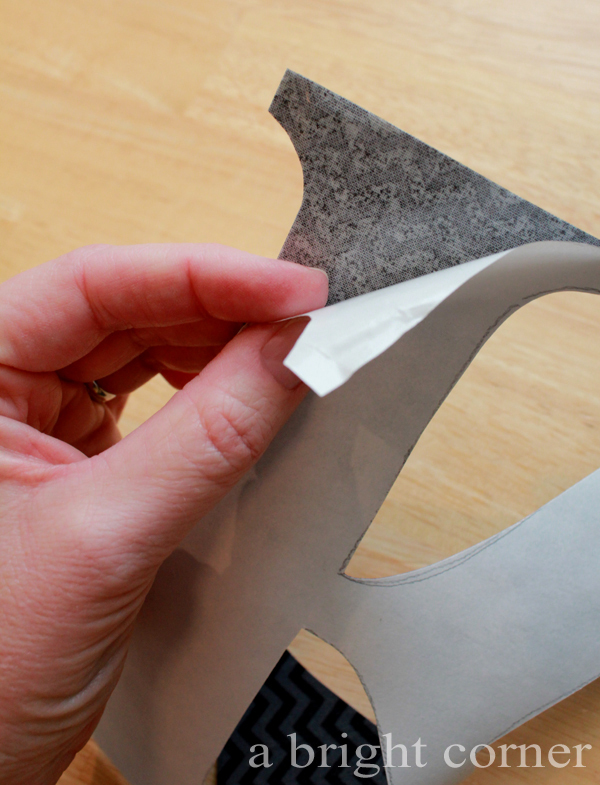 Following the instructions on the package, and with the paper side up, iron the letter onto the wrong side of a piece of fabric. 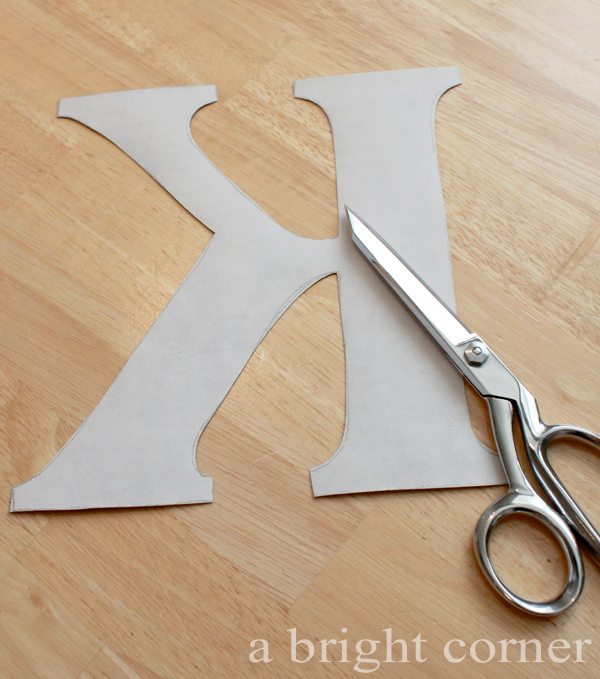 Using nice, sharp scissors, cut out right on the lines. 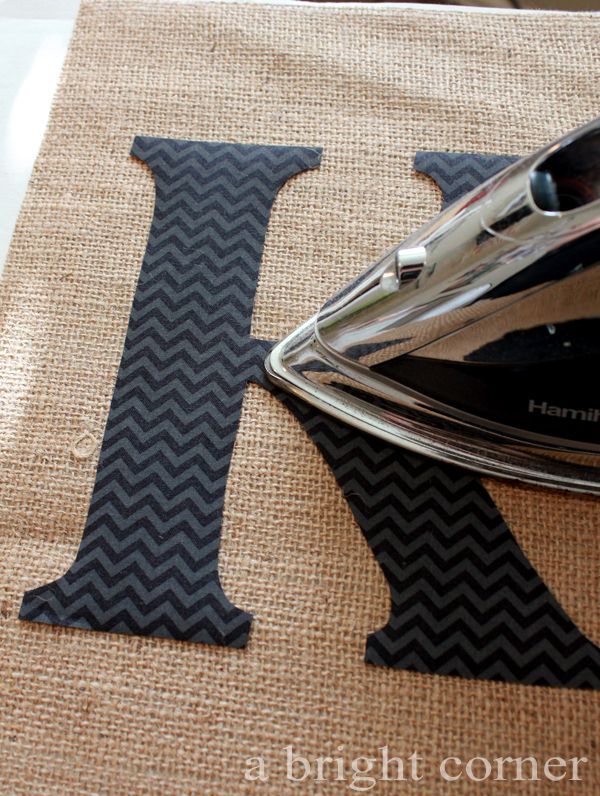 Place a piece of scrap fabric down on your ironing board, then the piece of burlap. If your frame has a mat, lay the mat in place. This will help you determine the placement of the letter. Place the letter where you would like it. I used a small ruler to make sure the space along the top, bottom and sides was even. 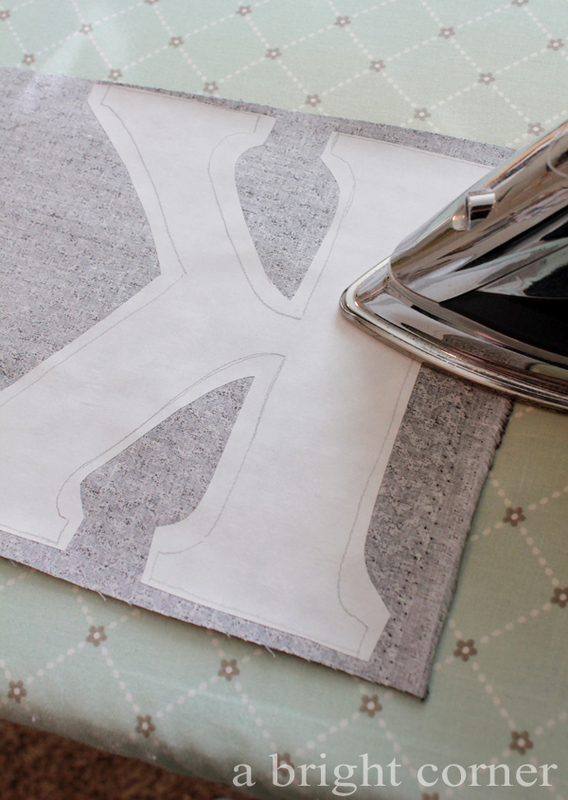 Without disturbing the letter, carefully remove the mat and iron the letter in place. 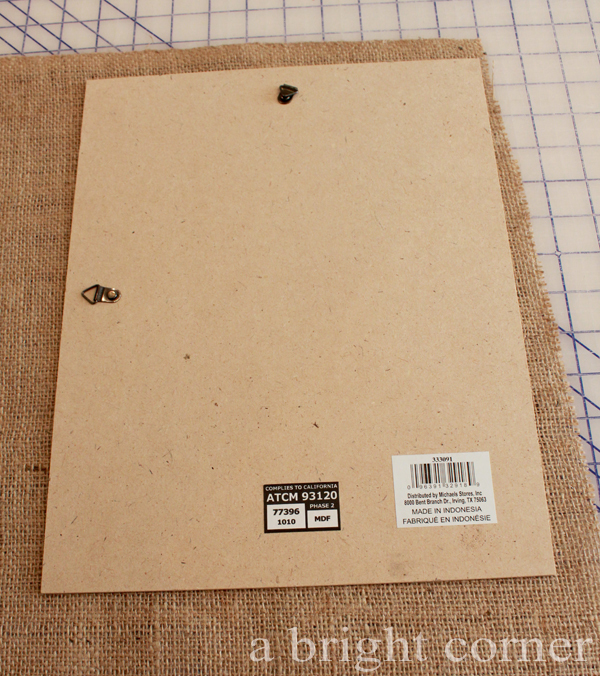 This is when it's nice to have the scrap fabric underneath the burlap. Since the burlap is a loose weave, some of the adhesive from the Heat n Bond Ultra might get through onto your ironing surface. That scrap fabric will protect it! 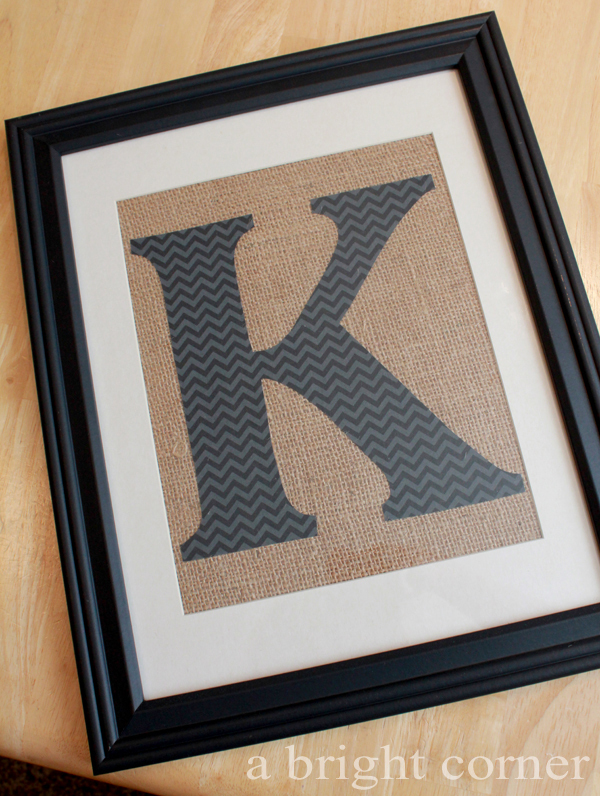 Let the burlap cool for a few minutes, then place into the frame. 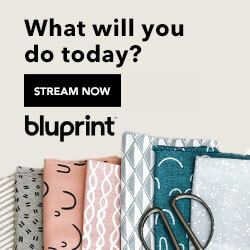 And just like that you have a quick, personalized, handmade gift! 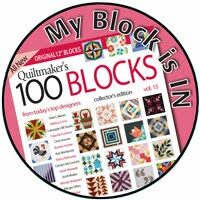 Follow the Handmade Holidays Gift Ideas Pinterest board for even more inspiration! 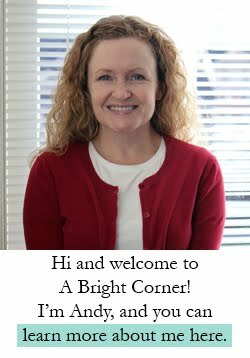 A huge thank you to our sponsors for this hop - please visit their blogs & websites below and follow them. It looks so easy . . . I might need to try this one too! 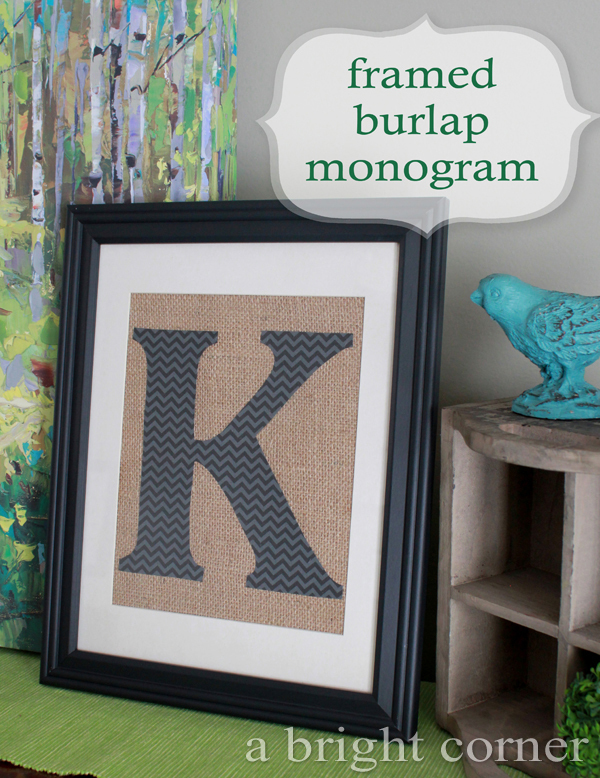 Wonderful framed monogram and love the use of the burlap.